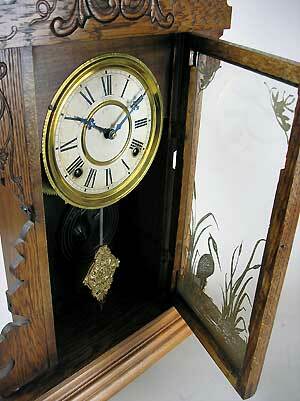 This is an American mantel clock by E.N. 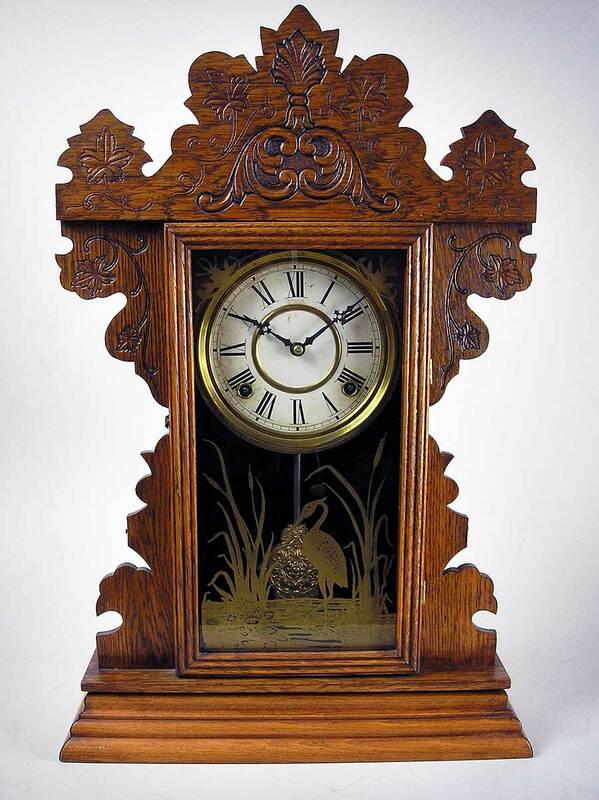 Welsh and Co. with original etched glass in a light oak case. The eight-day movement strikes on a gong. This clock is in fine original condition.